My name is Kayla Ammon. 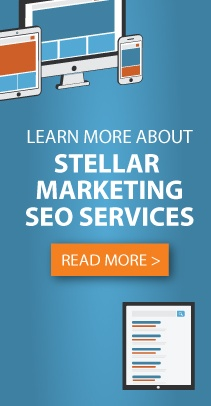 As a new college graduate of Communication Studies from the University of Wisconsin – Oshkosh, I am honored to work with Stellar Blue Technologies as a Digital Marketing Specialist. I am excited to be surrounded by such talented professionals. My interest in marketing began when I was starting my second year of college. I began working as a marketing intern at UW-Fox Valley. The ability to embrace my creative side and being able to help others encouraged me to switch my career path to marketing. Since then, I have held three other internships related to my interests. I am always looking to grow as an individual and professional. I knew placing my future in a marketing career would allow me to never stop that growth. When I’m not working, I enjoy being active. Hiking is one of my favorite activities. As John Muir once said, “In every walk with nature, one receives more than he seeks.” However, we also live in Wisconsin, so hiking is not always an option. In the winters, I enjoy going snowboarding when I can. This sport is ironic for me to do because my friends and family often pick on me for being cold when it’s 80 degrees outside. Year round, I can be found spending far too much money on sushi. However, I justify this as it is usually done with friends or family, who take up a very important part of my life. My daily life consists of drinking obscene amounts of coffee or tea and getting overly excited about seeing fluffy dogs, foxes, and tiny humans. As a new young professional, I am very excited to integrate Stellar Blue Technologies into my daily life. I cannot wait to see what my future with this company holds!